Daniel Romo's first book of poetry Romancing Gravity will be released later this year by Pecan Grove Press. He's also been nominated for a Pushcart Prize and for the Best of the Net Anthology. He began his MFA studies at Antioch University Los Angeles before transferring to Queens University of Charlotte's low residency MFA program. I decided to ask him why. A: I was fortunate to have a nice amount of success during my first two terms at Antioch, including a number of publications in journals, inclusion in an anthology of Southern California poets, nomination for two prestigious literary awards, and my poetry manuscript was accepted for publication. I made the decision to transfer because I wanted to keep the momentum going and simply focus on the writing. Queens allows me to do that. I was also attracted to the workshop format, and the many great things I heard about the Queens program. Q: What kind of impact do you think commuting has on the creative process? A: I drove to Antioch every day. It took anywhere from a half hour to an hour and a half to get there, depending on the time of day I left my house. I tried to avoid rush hour as best I could, but that’s not easy in Southern California. A residency is intense. By the end of the day I was emotionally, mentally, even spiritually drained, and the daily drive didn’t help. I was exhausted by the time I got home each night. I got used to it, but it would’ve been much easier to have stayed in a nearby hotel. I derive inspiration from several sources (which in part contribute to my creative process). I enjoy being around other people who are creatively inclined, such as at open mics, poetry readings, and just hanging out socializing and talking shop. I didn’t get the opportunity immerse myself in the Antioch community as I would have liked because I wanted to preserve myself for the next day. Consequently, my creative process was stifled. At Queens I stayed in a hotel. We were shuttled to the university every morning and shuttled back at the end of the day. I was able to maintain a freshness that allowed me to relax and enjoy everything I experienced. I became a part of the community because I didn’t have to worry about driving home after a long day. This enabled me to make connections and form bonds that go far beyond a sense of inspiration. Q: What strengths did you find in Antioch's program? A: Antioch is a rigorous, well-rounded program. Students are not only challenged to be excellent writers, but to make a difference as a writer in the community. There is a heavy emphasis on social justice, which distinguishes Antioch from other low residency MFA programs. The diversity also sets it apart, and is what initially attracted me to the program. I think a writer benefits from being around a variety of people. The mentors are excellent, the program is very structured, and Antioch prepares the writer for life after graduation, including providing a Post-MFA Certificate in the Teaching of Creative Writing, should one decide to pursue it. Q. What strengths have you found so far at Queens? A: Queens lets the writer write. We are given the luxury of focusing on honing our craft without worrying about long critical papers and other requirements not directly related to our own writing. The workshop format provides us not only feedback from our mentor, but from three of our peers, allowing for different perspectives. The sense of community is incredibly strong at Queens. Even though I experienced only one residency thus far, I felt the genuine spirit of goodwill that exudes throughout the program. Everyone was so warm and welcoming. Let’s face it, writing can be a lonely endeavor. The residency is where the semester begins. But the real work starts when we go home and are on our own, where it’s up to us to write our best work, alone. As I begin preparing the first submission to my group, I still feel a strong connection. That connection was created during the residency when we went out to eat, hung out at night chatting over “beverages,” and rode on the shuttle from our hotels to the college. I met some wonderful, creative people that I know are pulling for me, as I am pulling for them. The faculty is strong, the campus is gorgeous making it conducive to maintaining as fresh a mind as possible in a low residency setting, and the program is well-organized. Q: What differences between the two programs are there in terms of assignments, writing new pieces and deadlines? Do you find one program more challenging than the other? A: Both programs require you to read a number of books each semester. Both programs also require you to submit a certain number of works to your mentor each month, as well as teach a seminar in your graduating residency. But Antioch has more program requirements. This includes a five-page critical paper, participating in a ten-week translation seminar and online conference, a longer critical paper (25-40 pages), and engaging in a social justice field study. All of this makes for a challenging experience. While Queens does not have as many program requirements, the challenge is just as great considering the focus is solely on the writing. Q: What are the differences in teacher to student instruction and how you learn to become a better poet? A: I teach high school creative writing and tell my students all the time, “You guys don’t know how lucky you are to have me.” Of course, I mean that in the least self-absorbed manner possible. I’m fortunate to be learning from the best writers in the country. In turn, I’m providing my students with much of what I’ve learned. And while graduate school has been an invaluable resource towards pursuing a writing career, the majority of what I’ve learned has been due to my insatiable quest to become a better writer. Even before graduate school, I was constantly reading, writing, reading at open mics, going to readings, sending out my work for publication, and immersing myself in creative culture. I don’t think being enrolled in a graduate program will make anyone a better writer. It’s up to the individual to do that. Graduate school gives me a sense of validation and further inspires me. 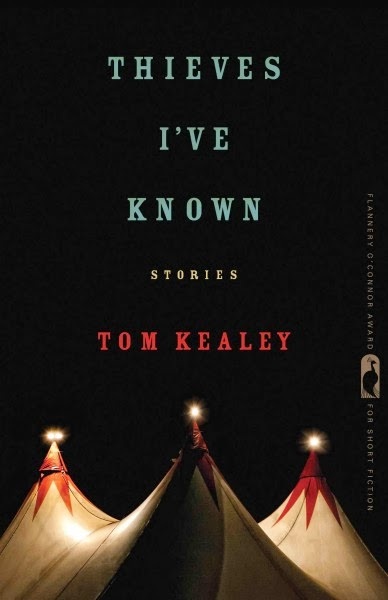 There are a number of writers I admire that never attended a graduate writing program. This is getting convoluted. Most of my students will stop writing creatively after they leave the class. Nonetheless, my job is to teach so that I see growth from all students from the beginning of the year to the end. And for those few that do plan on writing creatively beyond high school, my job is also to inspire them enabling them to see if they want it bad enough and are willing to work, they can have it. Q: How did the snow inspire your poetry? A: Ha. The snow was amazing. I’m in my thirties and I haven’t experienced snow since 6th grade camp. We had snow days the first two days of the residency. I didn’t even know they really existed! I also didn’t know how much I needed a change in scenery in regards to my writing. It seemed to give me clarity. My second day in Charlotte I walked outside in front of the hotel and plodded about, just letting the flakes fall on me. Just let ‘em fall. My last day there I took a walk through a neighborhood and found a bench nestled amongst houses, trees, and a tennis court (yes, a tennis court). It gave me the opportunity to jot done some things and reflect on the week. And while I don’t think I’ll create pastoral masterpieces anytime soon, I was able write a poem inspired by the snow. Romo mentioned that "Antioch prepares the writer for life after graduation, including providing a Post-MFA Certificate in the Teaching of Creative Writing, should one decide to pursue it." My question is, how do traditional full-residency universities view a low-res MFA when selecting candidates for Creative Writing teaching positions (especially tenured)? Are low-res MFAs viewed as equal to full-res MFAs? 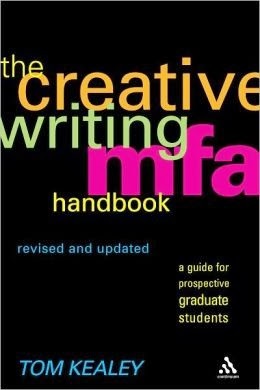 Are there any negative or positive stigmas attached to the low-res MFA? I have a low-res degree (from Queens as well) and I had no trouble obtaining adjunct work at a local community college. Now for anyone to find tenure work - that is a whole other ball game. But, my experience with talking to other writers is that it is less about where you obtained your degree and more about having it, teaching experience and publications. Hi guys, I know this is a post about transferring TO a low res program, but I was wondering if you might be able to take a look at my question. It's about possibly transferring from a low-res to a full-res and whether earning a previous MFA renders you ineligible for another program. I'm planning to join the Peace Corps next Spring, but I want to get started on my CW MFA so I am applying to University of British Columbia (UBC)'s optional residency (distance) program. I'll be doing the program part time, so it's unlikely that I will be finished with the program when I return. However, there's always a chance I could finish my coursework in those two years while doing PC. I would love to transfer to a full residency program when I return, but I read (specifically on University of Texas's site) that a previous MFA disqualifies you - I've also been told they look at transfers skeptically. 1. Which programs would I be ineligible for if I earned my MFA? Which would I be looked at skeptically by? (Like UT). 2. Are there any programs who actually like accepting transfers or people who already hold an MFA? 3. Has anyone had transfer experience (specifically from Low-Res to Full-Res) they can share with me? 4. Is this just an all around bad idea? Should I wait? I just really want to get started and I'd love to have a program's support pushing me forward.